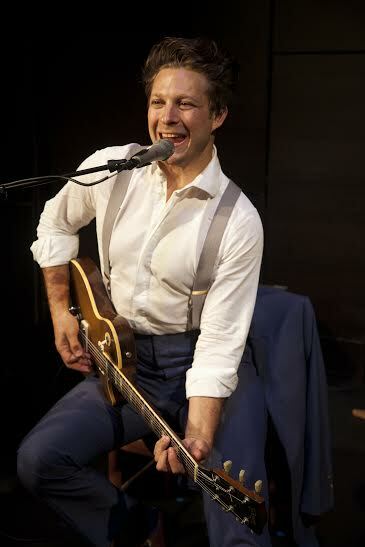 Benjamin Scheuer, singer songwriter and winner of various awards, including the 2013 Musical Theatre Network Award for Best Lyrics, has penned an original piece, comprising entirely of his own compositions and autobiographical narrative, taking us through the story of his turbulent relationship with his academically brilliant, though troubled and short-tempered father, through his stay in England with his brothers and British-born mother, and his return to New York to pursue his love of music. There, he falls in love, becomes ill and when recovered, realises he has found his own voice. What is especially good about this piece is the simplicity and directness of the storytelling, with the music changing genre from folk to rock, and deceptively naïve children’s songs containing a larger truth, according to the developments in the story. His guitar playing is very skilled (there were six on stage with him, one electric), and his musicianship superb. From time to time, the instrumentation contributes to the narration with an unexpected chord of foreboding, confounding our expectations. Scheuer’s singing voice is reminiscent of John Denver’s, and is particularly suited to the folk sound, which was the most prominent style of the evening, and yet had the power and versatility to move in the rock pieces. The work is well structured with good changes of pace, and some very funny lines thrown in. Just occasionally, he strays into mawkish tinges and a little self-indulgence, but generally these moments are rescued by a glimpse of self-knowing humour. His movement around the stage to different guitars and microphones is also well- directed. There were areas I felt could be developed. For my money, he is at his best when either silently laughing at his own youthful follies, particularly in the early stages of his romance, or angry enough to be wickedly witty, as in his maths exam during his teenage rebellion – a period of his life splendidly told. These were the elements which really teased my interest, and left me wanting more of such qualities. He is engaging, charming and his story is one of triumph over adversity – and we want him to win. He has clearly been very brave in his life, and I sense he could demonstrate more of that courage in his performance, with perhaps a little less sentimentality and more subtlety. Complex emotions and his growing understanding of his family could be implied, rather than spelled out quite so blatantly in the lyrics, trusting in the audience’s ability to do some of the work. Just the same, all power to his elbow in creating this remarkable piece, and it is greatly refreshing to see something neither jazz nor musical theatre in style, and totally unique. It will be interesting to see where his writing takes him artistically, now that his personal story is out of his system. This show is well worth a visit. 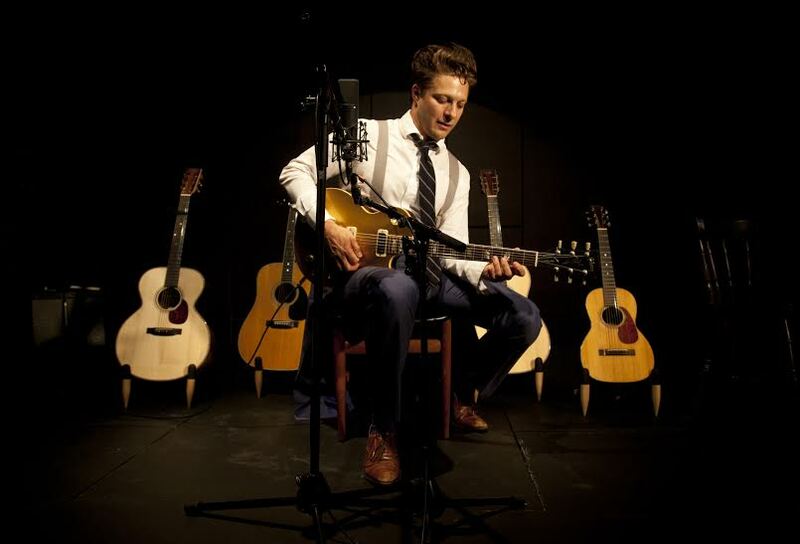 This entry was posted in Cabaret Reviews and tagged Benjamin Scheuer, cabaret, cabaret reviews London, fiona jane weston, St james Studio, The Lion. Bookmark the permalink.